Over the past month, we have talked about astronomical observing from a purely naked-eye point of view. You can see many objects in our night sky with the unaided eye, but if you’re interested in trying out some equipment, the prospect of choosing the right gear may seem daunting. So what’s the right equipment for you? The answer has to do a lot with what type of objects you want to see. One way to get a sense for what you like is by getting involved with your local Astronomical Society. The vast majority of armature organizations host or take part in regular star parties where you will have exposure to many different types of equipment. 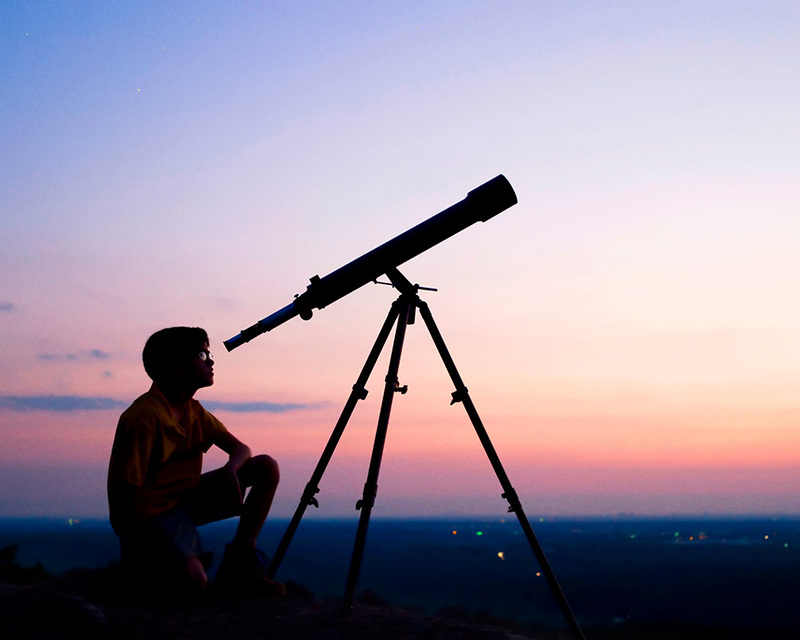 Usually, you’ll be offered an opportunity look at and view through equipment at a start party, and it’s a great environment to see what’s the right fit for you – and ask advice from more seasoned amateur astronomers. In the United States, we have the Astronomical League, an umbrella organization for amateur astronomy societies. To the north is the Royal Astronomical Society of Canada serving the same purpose. In Europe, there is the European Astronomical Society and down under it is the Astronomical Society of Australia. There are similar comprehensive groups in almost every corner of the world. Should your location prove to have a lack of access to such a group, we will do our best for you in this forum. Binoculars allow you to use both your eyes to take in the view and in some cases resolve an object in the sky better than a telescope. Look for a handheld set with a magnification factor somewhere between 7x – 9x and an objective between 40mm-80mm. Anything smaller and you won’t be able to make out much more than features on the moon and any larger, you will need a tripod arrangement to support the weight. You will be looking in the $100-$200 range for a pair of decent pair of binoculars to aid in night viewing. Where telescopes are concerned there are two camps; refractors and reflectors. The main difference is the number and types of mirrors involve and their orientation. Refracting scopes use lenses to gather the light whereas reflecting scopes use mirrors. Reflector telescopes typically come in the form of Dobsonian telescopes, named for astronomer John Dobson who developed and perfected the design. These scopes range in size from 4” to as big as 36”. The size refers to the diameter of the primary mirror. In the case of a refractor telescope, that size relates to the diameter of the objective lens. Refractors are king at looking at the planets, the moon and other terrestrial objects, but they have limitations in size. It can be very expensive to create lenses large enoughReflectors rein for looking at more deep sky objects especially because it is considerably less costly to build a mirror as opposed to a lens. My first substantial observing telescope was a Dobsonian-style reflector telescope with an 8” mirror. I was able to view not only the moon and other planets such as Mars, Saturn, and Jupiter but a great many deep sky objects as well. (Many of which have been discussed in previous posts.) Depending on how many fancy accessories you are looking for, a reflector telescope with an 8” mirror will run between $350 to $450. Whereas, a refractor of the same size will cost over a grand. My best advice is to start small and simple. Once you’ve determined what is right for you the next step is to observe, observe, observe! Spend time with your gear and learn the ins and outs of its capabilities. Take time to learn how to cruise the night sky and take it for a spin on our moon. (Preferably while in phase so as not to be blinded by the brightness of a full or near to full moon.) Tune into our weekly blog posts to hear about what is up in the night sky and how to observe. And refer to our website to track down the best possible dark sky from which to observe. When possible, it is always fun to observe with friends; whether with a formal organization or acquaintances from your neighborhood. Star parties are held all over the world from small gatherings to full-scale, week-long events. As you progress in your observations be conscious of the skies around you and connect here at the IDA to find your local chapter and ways you can get involved with protecting our night.